A TOUR MADE FOR WOMEN BY WOMEN! This is an adventure that accesses parts of you that you had no idea that existed and somehow forces you to find out that you are capable of so much more than you thought. It will push you outside of your comfort zone and make you feel strong and confident… afterwards! It is the perfect balance between Yin and Yang. 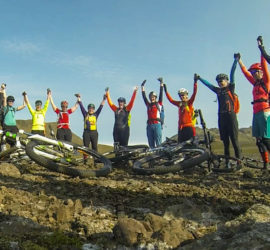 Yoga for mindfulness, peace, and more space in body and mind paired with MTB moments on selected trails in the middle of nowhere. There is no doubt about it, those two activities mixed together improves balance, focus, strength and flexibility that help you find your better self. We will pick you up at your hotel or at the airport in the afternoon. After a quick stop at our office we drive about 2-hours along the south coast into the highlands. There will be a dinner stop on the way in one of our favorite local restaurants in the countryside. Later in the evening we get settle in our mountain hut home where we spend our next three nights. Rise and shine early in the morning with the first Yoga session. After a delicious breakfast a short shuttle to the starting point of our ride in the middle of the highland desert. 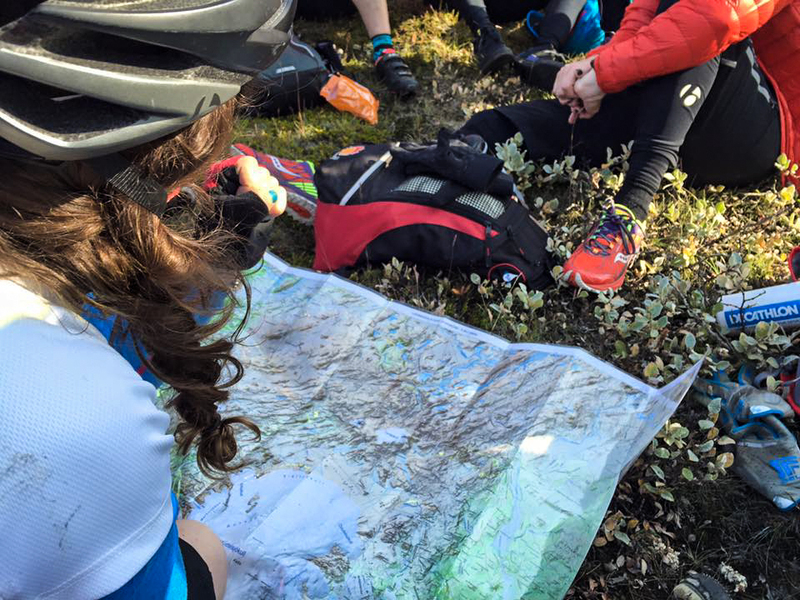 Today´s ride is mixed with challenging single rides and remoted mountain trails. 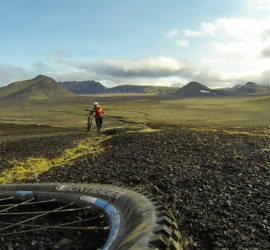 We will drop down into valleys, crossing few cold rivers before ending the ride in front of our comfortable mountain hut. Yoga and stretching before a homemade dinner made by your guides. Yoga in the morning followed by breakfast. 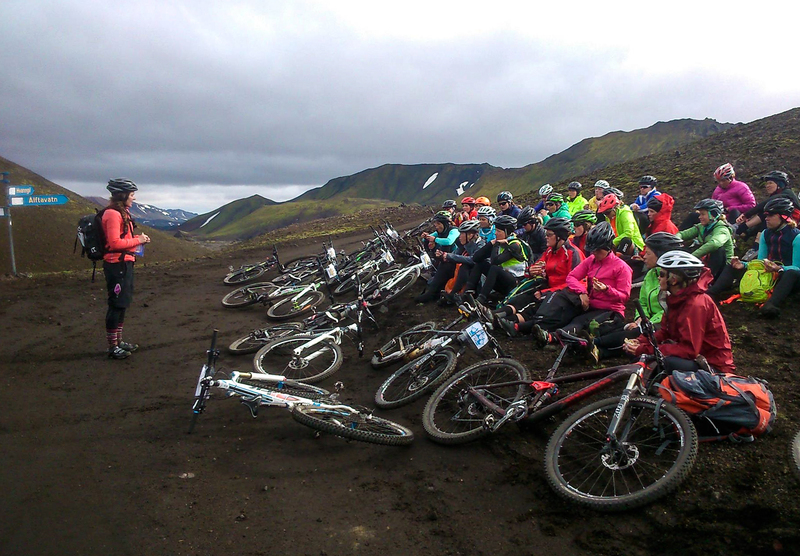 We start and end the ride of the day at our mountain hut. 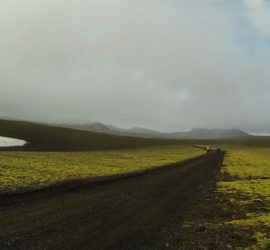 The trail will lead us on a top of a secret mountain for a spectacular view of the surrounding landscape. 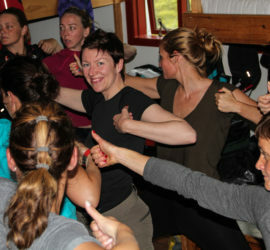 Yoga and stretching before a homemade dinner made by your guides. It is our last night together in the mountains, so it’s a fiesta with traditionally Icelandic dish, that leaves nothing to be desired for gourmets. Our last Yoga morning session. After the breakfast we pack our bags and get ready for a new adventure. 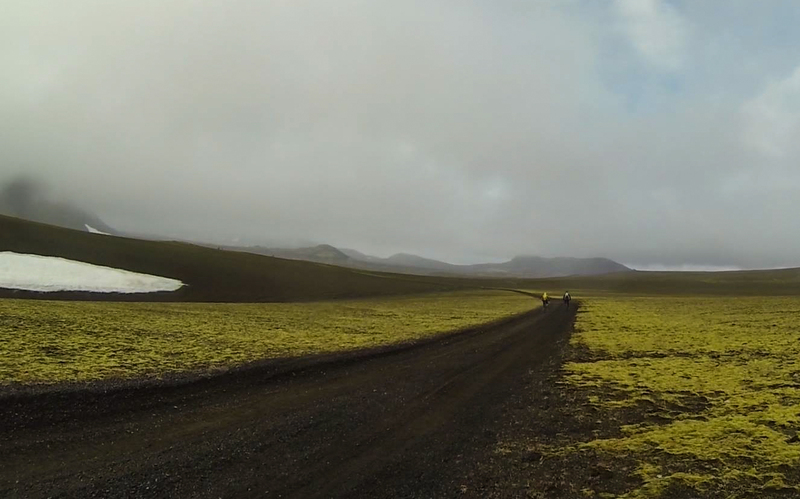 The last trail is a great highland road that follows the river Ytri-Rangá all the way down to the farmland. 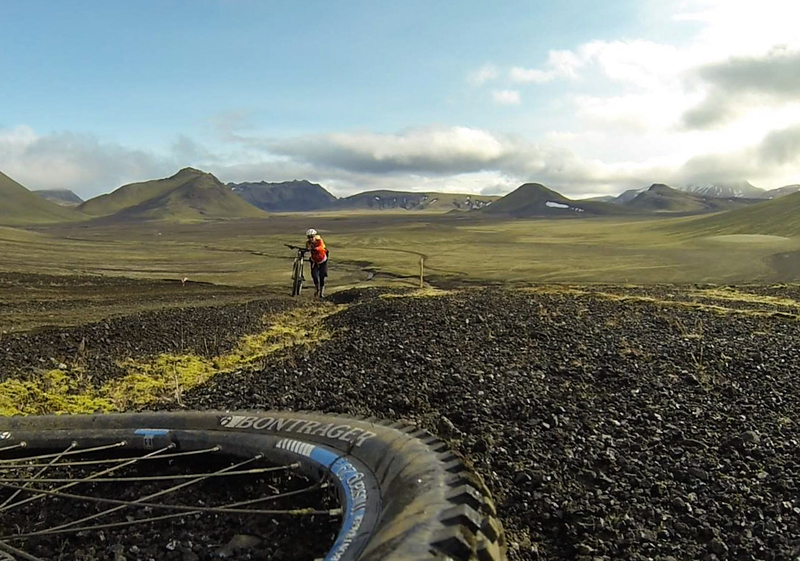 The view is magnificent with Hekla volcano overlooking us on our left. The perfect way to end the day is to visit a thermal pool and experience Iceland’s healing energy at the same time. A healthy swim and a soak in the hot Jacuzzi leave you feeling in tune with body and soul. About a two hours drive back to Reykjavík after our last ride, early enough to enjoy our evening in one of the city’s restaurants. 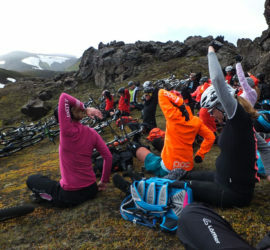 HELGA SNJÓLFSDÓTTIR is an experienced Yoga Instructor and MTB lover. She discovered yoga in her late teens and has been passionate about yoga, meditation and spirituality for the past 20 years. 7 years ago she started teaching and sharing her knowledge and experience with students at Yoga Shala Reykjavik as well as through other projects and collaborations. She loves teaching accessible Yoga Flow classes where all students can thrive and and find their edge regardless of their experience, she also believes in the power of Meditation, Yin Yoga and Yoga Nidra to balance active lifestyles in the demands of modern culture. 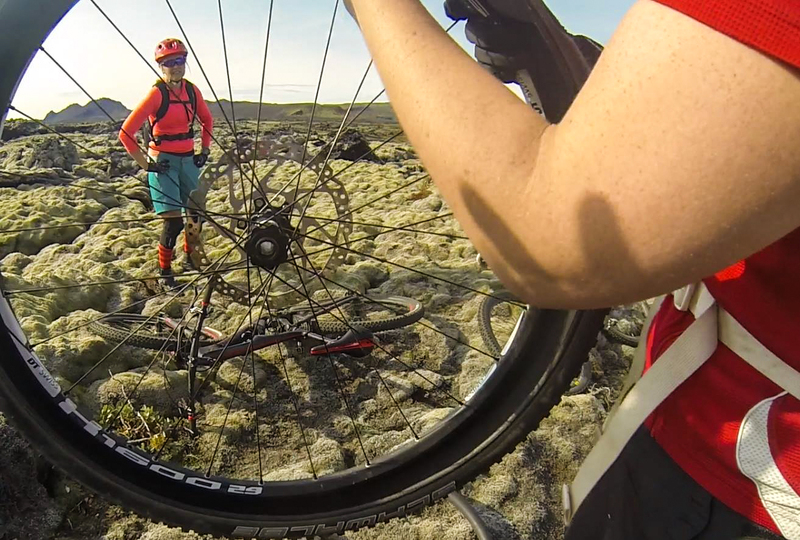 She discovered MTB in the year 2014 and met Anna, Bike Company´s owner on her first behind the mountains MTB tour. Needless to say it was amazing! 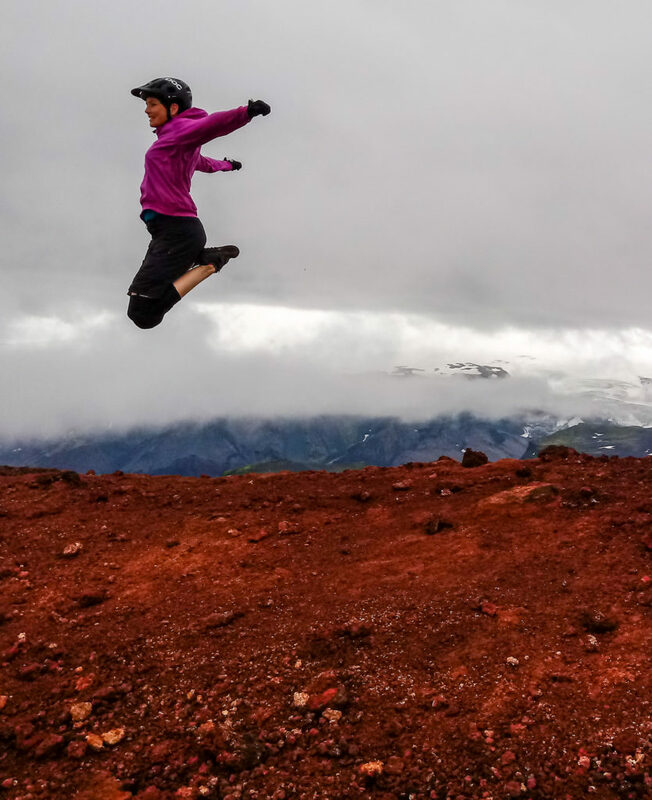 She is thrilled to be collaborating on MTB + yoga trips and looks forward to customizing yoga programs for each tour and group. 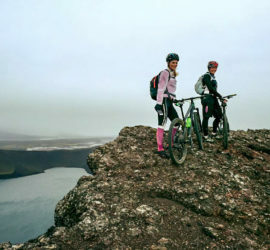 ANNA KRISTÍN ÁSBJÖRNSDÓTTIR is the owner and the general manager of Bike Company. 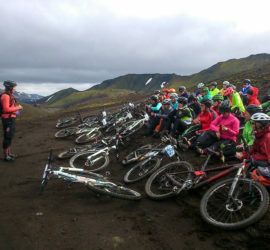 She is a natural born pioneer and her knowledge and experience as a mountain guide is unique when it comes to planning mountain bike tours in Iceland. 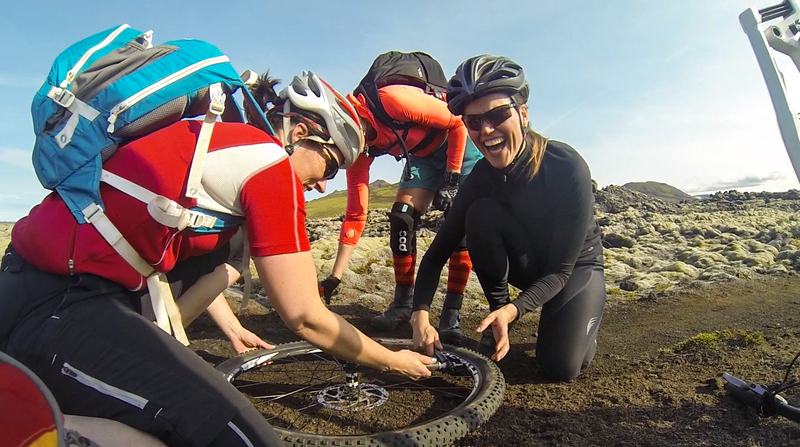 In 2014, she organized, along with her friend Inga, the first “only women” weekend adventure called “MountainBikeRock”. 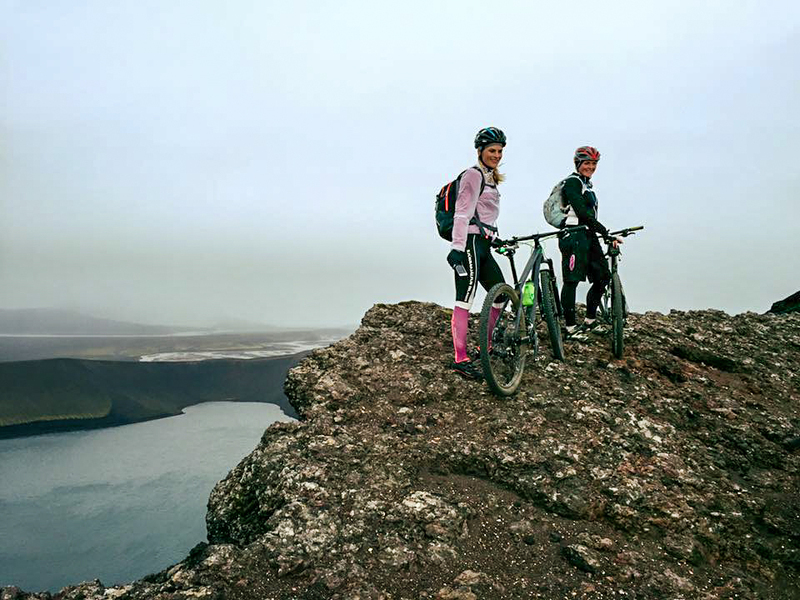 It has been since then an integral part of many Icelandic female mountain biker, who attend the tour each and every year. Anna discovered Yoga when she met Helga on this tour and has since then been practicing it occasionally along with meditation. 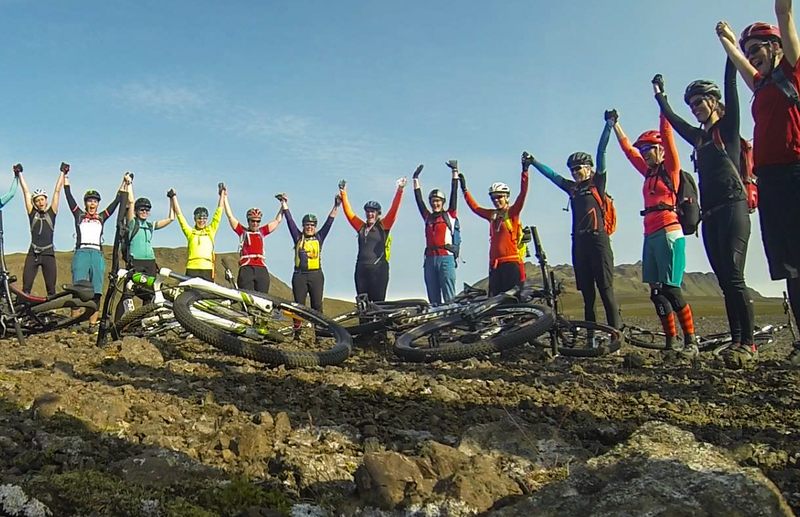 This year we have decided to share this tour with the worldwide female riders community by welcome them to join us. We are lucky to have Helga joining us as a Yoga Instructor in this trip and together with Anna they create the perfect team that will only lead to a successful adventure! 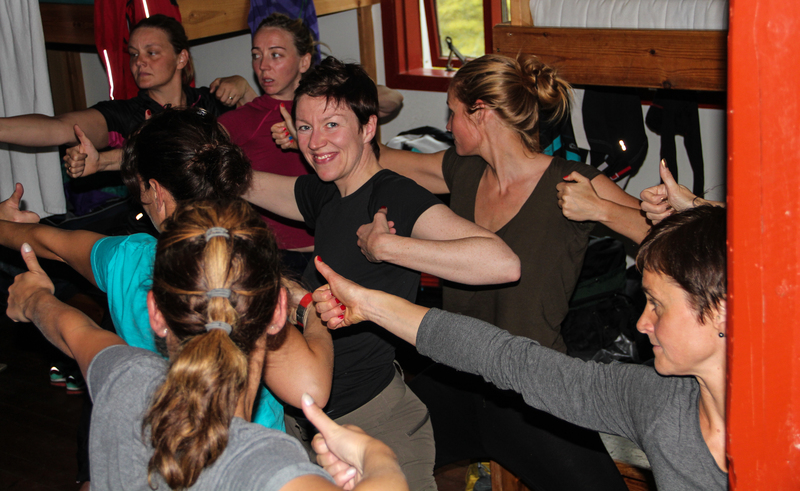 Level: This tour is designed for a open minded female mountain yoga-biker in good physical shape. 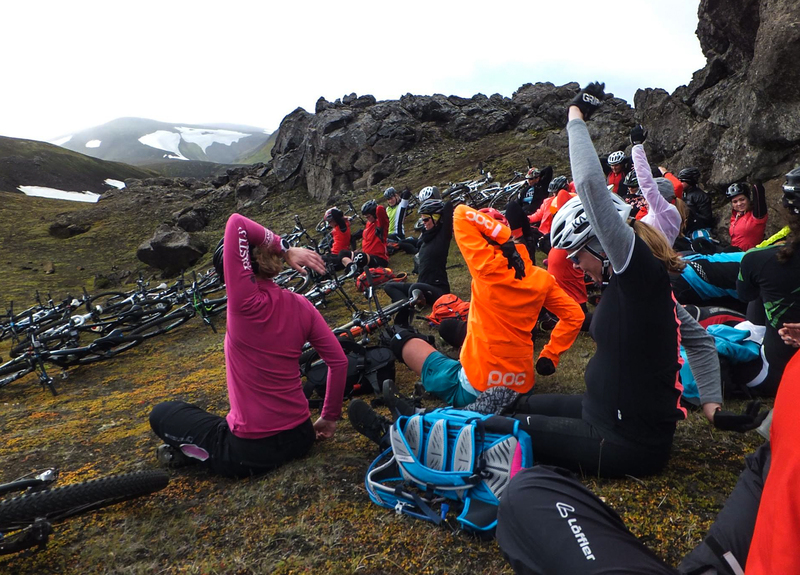 Previous mountain yoga or biking experience is not required, and you will not be confronted with very technical sections. 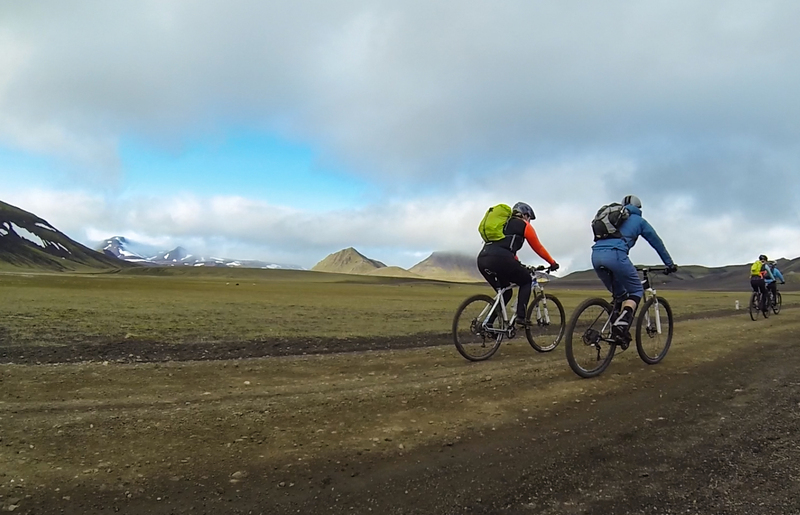 You don’t have to be an advanced biker or yoga practicant, and you don’t have to be super fit for this trip. Most of those who join us have these qualifications to varying degrees and one compensates another. If you lack skill, you may be fine with good fitness, and if you are very skilled, you may do well with less fitness. 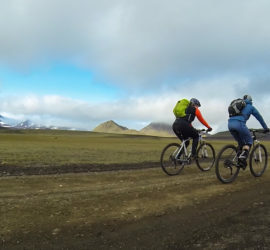 Most part of the trails are on gravel roads that can be quite rough along with some single track and short technical up- and downhill sections that can easily be hike-a-biked for those less experienced. The Yoga practise: The yoga sessions will vary and cater to the time of day, group’s energy level, atmosphere and the rides of the day. Our instructor will offer accessible Yoga Flow, Yin Yoga, Yoga Nidra, and guided meditation, and of course make sure to seize opportunities for unforgettable wilderness Yoga moments. Yoga mats and other necessary accessories will be provided and music and room setup provide for the appropriate ambiance. You are of course welcome to bring your own mat. 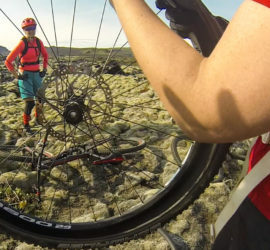 Bike and equipment: For this adventure we provide, Specialized Stumpjumper, all-mountain dual suspension bike with disk brakes. If you bring your own bike you are required to have it in excellent working order before the trip begins. You also need to bring couple of tubes with you and at least one set of brake pads (organic are better here than sintered as they don’t overheat) and keep them in your pack along with a spare mech hanger and any other specialist tools or spares specific to your own bike. The mountain huts: Nights will be spent in a comfortable and charming mountain huts located in special remote location. The group stays together in the same section with shared bathrooms, include running water, restroom facilities and shower. The rooms vary from smaller six-person rooms to rooms that will accommodate the whole group. The food: Cuisine is the Iceland's best and we can customize your dinner if you have any dietary considerations as vegetarian, ketos, dairy free or lactose intolerant, for example. The connection: It is possible to charge the batteries / phone / cameras in the hut. It is though always good to bring an extra battery or a charger with you. 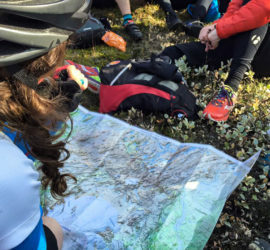 There is good mobile phone coverage at the hut but can be tricky when we go out on the trails. The guides will have a satellite phone that can be used in case of emergency.